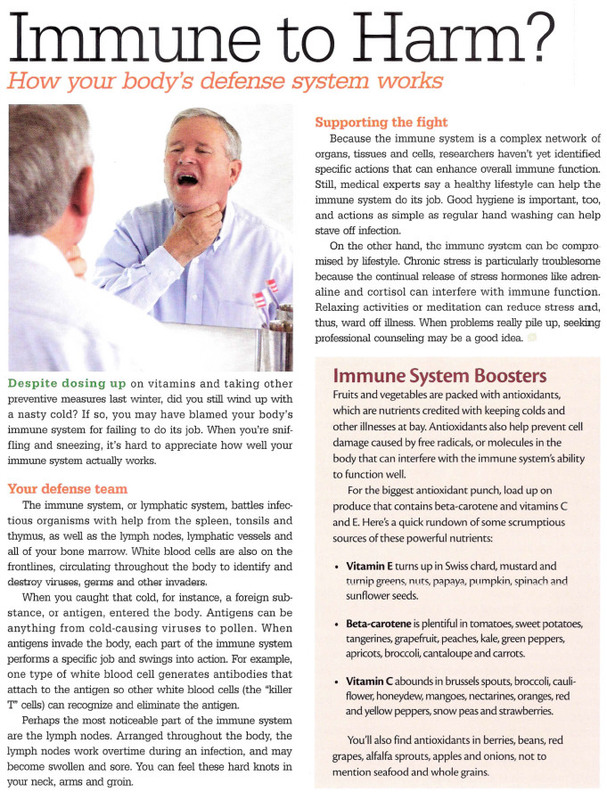 The Flu Fighters in Your Food provides more information on this important subject. Published clinical research indicates that Juice Plus+ supports several measures of immune function - in law school students at the University of Florida and in elderly people in a study conducted at the University of Arizona. Juice Plus+ was also shown to reduce moderate or severe common cold symptoms in an 8-month study of 543 health care professionals at the Charité University Medical Centre in Berlin, Germany. In a study of 41 healthy, fit policemen in the Austrian Special Forces "Cobra" unit, the Medical University of Graz, Austria found that those on Juice Plus+ lost fewer duty days due to illness.